A year on from Grenfell, the Tories' new Green Paper on social housing will barely cover the cracks when it comes to the growing precariousness faced by tenants. The belated release of the government’s Social Housing Green Paper on Tuesday – which has taken almost a year to assemble by three housing ministers – provides little comfort to social tenants. Tenants’ groups were hoping that the Green Paper would introduce ways for them to exercise more control of their homes and communities – while kick-starting new social house-building, at levels above the historic lows achieved by Conservative-led governments since 2010. What they got was a commitment to introduce greater regulation and scrutiny of social housing, but very little that could be considered a significant boost to social house-building. And they got vague promises to confront the stigma faced by social tenants in the media – some of which has to be laid at the door of the Coalition government with its ‘striver versus skiver’ rhetoric. There are also promises for a new wave of stock transfers from local authorities to ‘community-led’ housing associations. However, there is nothing that seeks to move housing associations themselves towards community control – through a process of mutualisation for example. The Green Paper was set in motion last September, following the fallout from the Grenfell Tower fire and subsequent mishandling of the disaster by central and local government. And it was partly a response to the decline of social housing that the government exacerbated by its own policies – particularly the extension of the Right to Buy – and the intensifying precariousness of social tenant lives of which Grenfell was became an emblem. Forthcoming research by the Human City Institute underscores how the characteristics of the social tenants’ group can now be generally identified with distinct features of the ‘precariat’. HCI’s research reveals that almost half of social tenants live in poverty. One in ten have visited a food-bank in the previous two years. Social tenants are also the group most affected by cuts and caps in welfare benefits. Very few have savings or any tangible assets. The median wealth for social tenants is only £14,000, which is just 3% of that controlled by the average home owner. Tenants’ median gross household income is just over £17,000 annually. This is barely 45% of the median income of home owners and 62% of that for private renters. Almost three quarters of social tenants are in the two lowest income quintiles nationally. Some 42% of social tenants work, of which about one fifth are in short-term or zero hours contract work. And unsurprisingly, over the last two years, 31% of tenants indicate that their standard of living has worsened and 49% say it has stood still. This is because the main items of expenditure for social tenants – food, fuel and servicing debt – have higher rates of inflation than the norm and take-up two thirds of spending by tenants. HCI proposes that this growing precariousness should be countered in part by recalibrating power relations in social housing: tenants and communities should have a greater say in how their housing, estates and neighbourhoods are managed. 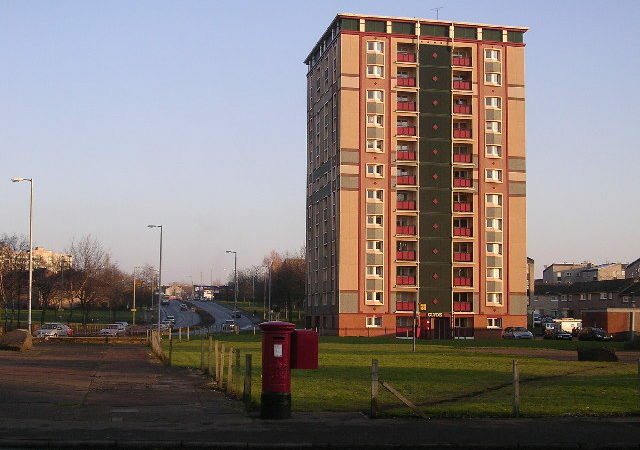 This can be achieved to some degree through rebranding social housing as ‘community housing’, by mutualising the sector with elected tenants forming the majority on social landlord boards, by creating a fully-funded national Tenants’ Mutual to guide expansion of social housing, to support real regeneration activities, and to provide tenants with assets, so boosting self-esteem and reducing financial exclusion.